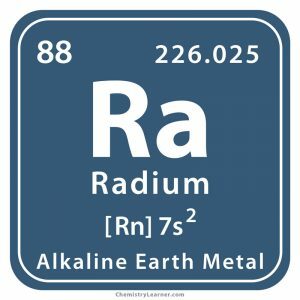 A highly radioactive and naturally-occurring metal, radium (pronounced as RAY-dee-em) is formed when uranium and thorium undergo disintegration in the environment. 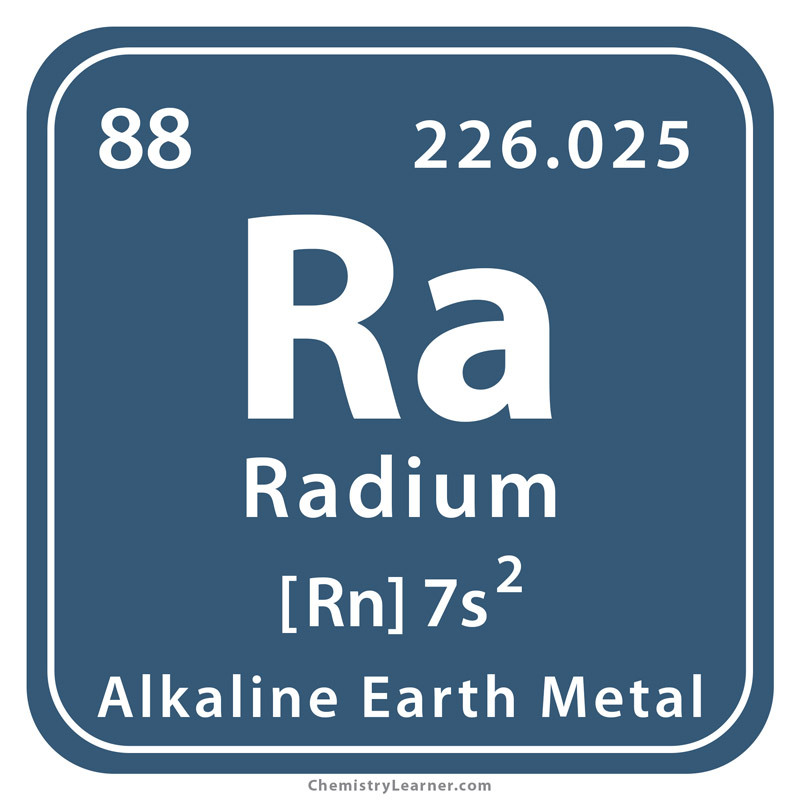 Represented by the chemical symbol Ra, it is classified in the family of alkaline earth metals . 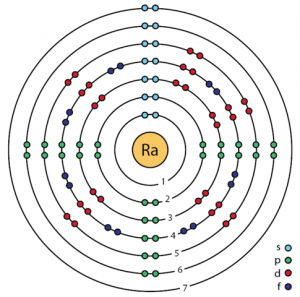 It has 33 isotopes of which Ra-226 and Ra-228 have a half-life of 1600 years and 5.75 years, respectively . Since the element is found in most uranium ores, especially in Canada and Democratic Republic of Congo, it can be obtained as a byproduct of uranium refining. Another source of radium is the spent fuel rods of nuclear reactors . Origin of its Name: It is derived from the Latin word ‘radius’ that means ray . Marie Curie had observed that pitchblende (uranium oxide) was more radioactive even after extracting uranium from it. In 1898, the Curie couple used some chemical separation techniques to isolate radium from ten tons of the pitchblende that displayed new lines in its atomic spectrum. They were fascinated to find it glow with a faint blue light in the dark due to its high radioactivity . In 1911, Marie Curie and Andre Debierne carried out electrolysis of radium chloride where a mercury cathode was used to isolate the metal . Ra implants are effective in treating oral cancer through internal radiation therapy. A mild radioactive form of the element, radium-223 is used in the treatment of prostate cancer that has spread to other parts of the body like bones [1, 8]. A mixture of radium and beryllium is useful as a neutron source . The element is used to make night lamps, bulbs, and tube lights. 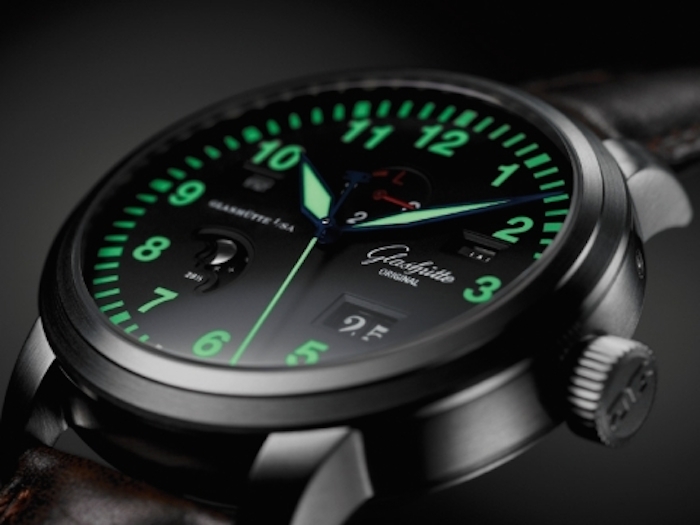 Luminous paints containing radium has been used in dials of clocks, watches aircraft devices, and other instruments. However, the metal is now replaced with cobalt-60 as it poses hazardous effects due to emission of radioactive rays . 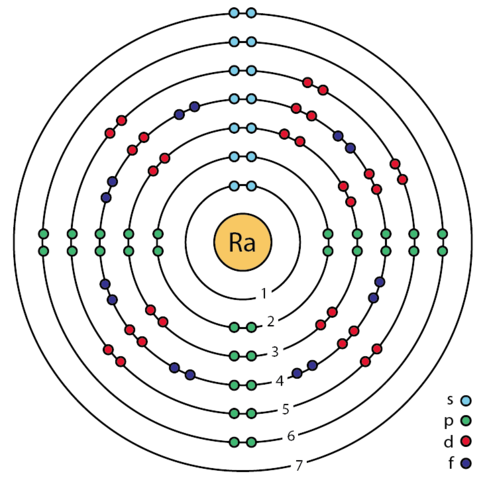 Radium-226 undergoes decay by alpha emission into radon-222 that may have the potential to treat certain types of cancer, including lung cancer . Long-term exposure to the highly radioactive metal can have toxic effects on health, resulting in cataract, anemia, brittle teeth, and cancer . According to some studies, ingestion of Ra-224 and Ra-228 has been linked to bone sarcomas . The unit of radioactivity, Curie, is equal to the number of atoms in gram of radium-226 that undergoes decay in one second . As the research notes and documents of Ra have been exposed to the radioactive rays, they not safe even today to be handled for further studies . 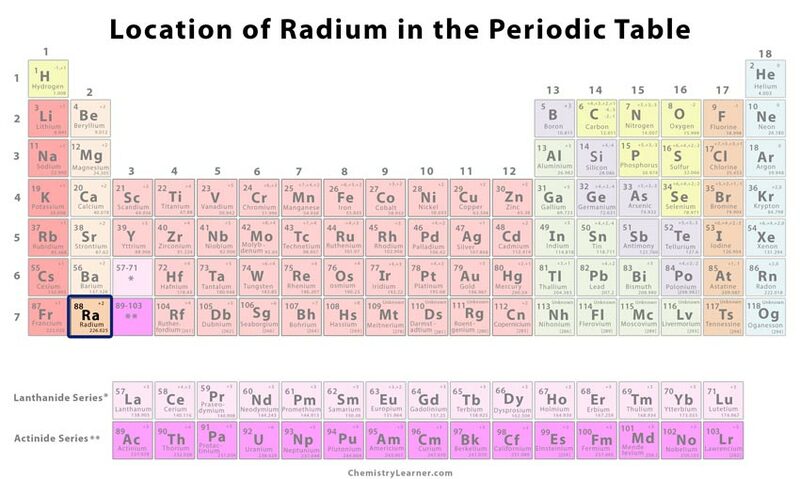 The activity of radium is about a million times more than uranium . In the early 1900’s, several women factory workers employed to paint watch dials and clock faces were contaminated with Ra, present in those luminous paints, due to regular exposure that resulted in adverse health effects followed by death . The price of pure Ra is somewhere between $100,000 and $120,000 per gram.